When your business is the target of a lawsuit, money isn’t the only thing at stake. Your reputation is on the line, too. 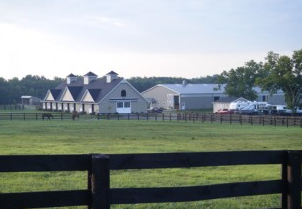 Markel’ insurance professionals have years of experience handling equine liability claims. They’ll ensure that a claim against you is resolved fairly, with consideration for all parties involved. Equine liability insurance is indispensable for anyone with a horse-related business. In today’s litigious society, protection against liability claims is an utmost necessity. ...you need Markel’s Commercial Equine Liability coverage. Owning your own horse is a significant emotional and financial investment. Accepting the responsibility of caring for someone else’s cherished and valuable animal is also no small task. And since standard insurers don’t fully understand the risks you undertake when caring for the horses of others, most general liability policies don’t include this special coverage. That’s why the extra protection of Markel’s optional Care, Custody & Control (CCC) coverage is so important. With CCC, you’re covered if an animal in your care is injured, becomes ill or dies, and you are found negligent. This does not apply to horses you own or lease. Mortality insurance is designed for those needs. Our Markel "Quick Quote" will take about 15 minutes of your time. We work hard at this process so you don't have to. The application process can sometimes be a daunting task, and we are here to make it easy, so you can spend time with your horses and clients.